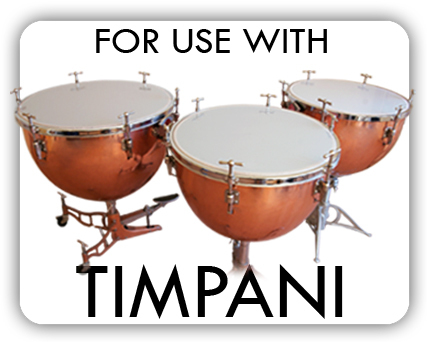 ME Timpani mallets are produced with the same care as the symphonic types but have heads of split seamed felt sewn over inner cores of compressed felt. Available in medium and soft grades with the addition of a powerful hard and medium solid felt model. The tapered handles are in hardwood with lacquered finish.